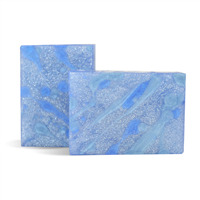 This melt and pour soap contains lotion which will not only cleanse your skin but leave it feeling soft and moisturized. 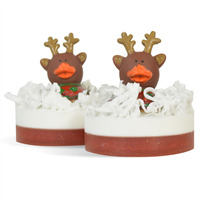 The glittery sparkle makes this a perfect Holiday soap for gifts or sale. Sorbitol, Coconut Oil, Propylene Glycol, Stearic Acid, Water, Sodium Hydroxide, Goat Milk, Titanium Dioxide, Glyceryl Stearate, Cetearyl Alcohol, Polysorbate-60, Stearyl Alcohol, Sunflower Oil, Allantoin, Isopropyl Palmitate, Petrolatum, Fragrance, Diazolidinyl Urea, Methylparaben, Propylparaben, BHT, Disodium Carbomer, Benzophenone-4, Synthetic Fluorphlogopite, Polyethylene Terephthalate, Acrylates Copolymer. View the Sparkling Snowflake MP Soap Recipe for detailed instructions. "Great kit, but removing from the mold takes work!" 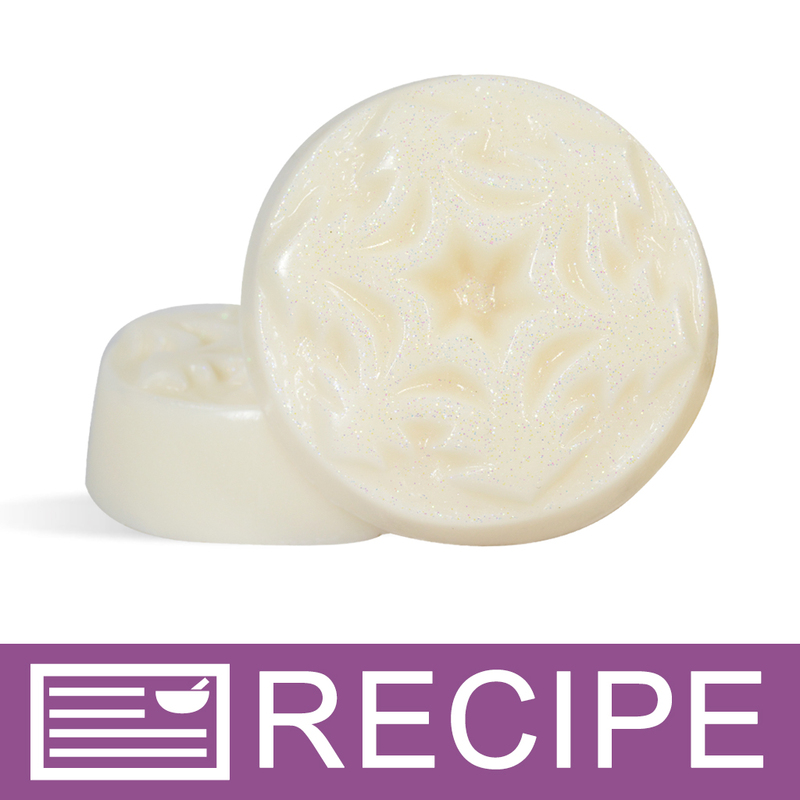 COMMENTS: This was my first time making a lotion bar, and I was surprised by how dense it turned out. The fragrance is wonderful, especially for the holidays. I'm hoping the vanilla stabilizer keeps the bars from discoloring as another reviewer reported, since I made these primarily for Christmas gift baskets. My only complaint and the reason I did not give the kit 5 stars was getting the bars out of the mold was difficult. COMMENTS: I made this as part of a bath set for Christmas for my sisters. 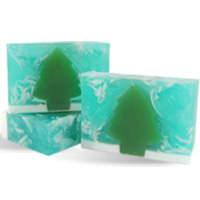 I love the scent and the kit is great for beginner soap makers. My only issues with it is that it discolors, but other then that I love it and would buy it again. COMMENTS: First attempt at MP with adding a Lotion Base. Super simple, came with a fantastic mold. My customers loved this product! "I'm making these for Valentine's Day using my heart mold. I substituted Fairytale Pink Mica color block for the White Clouds shimmer color block and did not use the iridescent glitter. Can you help me with the revised ingredient list? I tried to work it out on my own, but I'm still learning and want to be certain I get it right. I kept all the other ingredients and amounts for the recipe exactly the same. Thanks!" Staff Answer You would remove the last three ingredients, which is the glitter and White Clouds Mica. After Benzophenone-4, you would add Mica, Titanium Dioxide, Tin Oxide, Iron Oxide.